THIS EVENT IS FULL. Please check out our calendar for upcoming events! 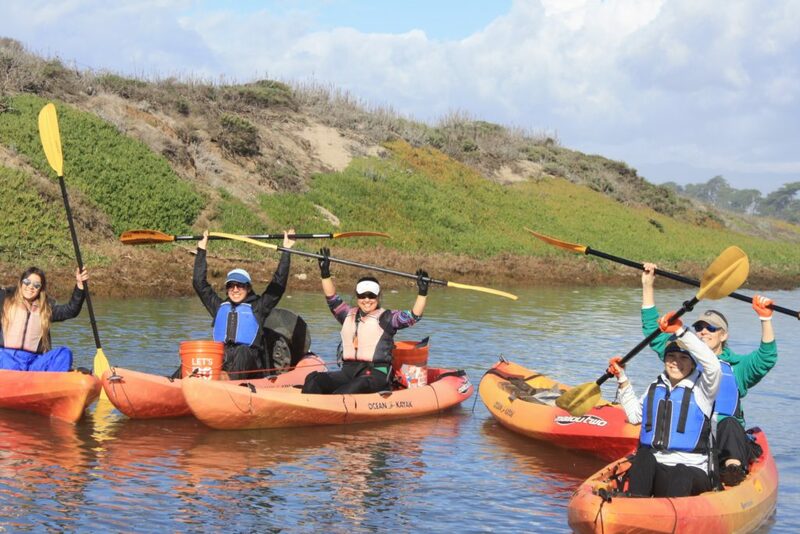 Join us on the Elkhorn Slough to help remove trash from our local marine environment! Please meet us at the Monterey Bay Kayaks shop off Highway 1 in Moss Landing. RSVPs are required at least 24 hours before for this event. Participants must be 14 years old and up. Each volunteer under the age of 18 must be accompanied by an adult. Spots are limited based on gear provided by our outfitter. If you have your own water craft though, we will gladly accept people beyond our limit! Email Nia if you are interested in participating. Be sure to include the number of people you are registering, if there are any children in your party, your kayaking skill level, and if you need gear or are bringing your own. We recommend that all volunteers dress in layers, wear sun protection, and bring a filled reusable water bottle. There are restrooms and drinking fountains on site. There is ample paid parking available in the lot. You can sign our online waiver ahead of time to save time: https://saveourshores.org/waiver/ (please print and bring signed copy with you to the cleanup). For questions and/or RSVPs, please contact nia@saveourshores.org.